Established suppliers of geographic information are invited to market and distribute marine and coastal data to the engineering, environmental and location based services sectors. The data products comprise raster images of the well-known nautical chart series from the UK Hydrographic Office and marine topographic mapping and seabed surface models created and maintained by marine data specialists OceanWise. The data is optimised for use in desktop, portable and web based geographical information systems and represent exceptional value when compared to other vendors. The data products are already available on-line from www.GeoStore.com. 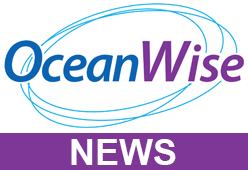 However, with the ending of the 12-month exclusive arrangement with GeoStore, OceanWise now wishes to build its network of distributors to maximise opportunities and market growth worldwide.